Many people who seek or are in need of social services experience stigma related to a variety of factors, such as age, income, race and ethnicity, immigration status, and health conditions. 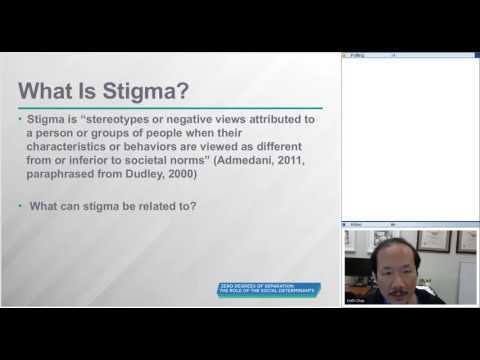 Using case studies and interactive discussions, this webinar explores the ways in which stigma can be a social determinant of health and impact people’s service-seeking experiences. Participants will learn best practices for addressing stigma and engaging with marginalized populations. The Things that Matter: Addressing the Social Determinants of HealthThe SEED's of Health: Exploring the Impact of Social, Economic, and Educational DeterminantsWhat's Food Got To Do With It? Food Insecurity and Mental HealthLegacies of Pain and Resilience: Clinical Implications for Understanding Historical Trauma and Race**Housing IS Healthcare: What Can Be Done to Address the Most Important Social Determinant of Health?